People from all faiths and none at all find in the Celtic tradition an expression of spirituality deeply connected to nature, and vibrantly alive -- a spiritual rootedness we long for in the twenty-first century -- at the same time simpler and more richly diverse. 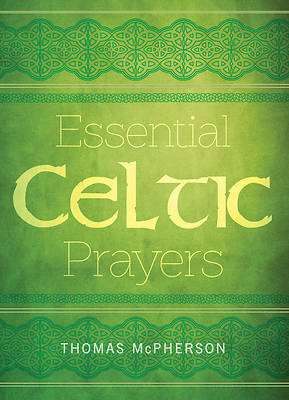 This book is a collection of some of the most beautiful prayers of the Celtic tradition that speak to us across the centuries. The early Celts lived in a time and place where nature was ever-present -- in the seasonal harvest and disruptions of it, in the sometimes brutal climate, and in all the gifts from the earth. In their simple rural life, they were surrounded by the cycles of nature: the seasons, lunar months, tides, dawn and dusk. Even in ordinary tasks -- gardening, metalworking, sheep herding, and farm chores -- they felt God's sacred presence all around in the natural world. People from all faiths and none at all find in the Celtic tradition an expression of spirituality deeply connected to nature, and vibrantly alive -- a spiritual rootedness we long for in the twenty-first century -- at the same time simpler and more richly diverse. This book is a collection of some of the most beautiful prayers of the Celtic tradition that speak to us across the centuries. The early Celts lived in a time and place where nature was ever-present -- in the seasonal harvest and disruptions of it, in the sometimes brutal climate, and in all the gifts from the earth. In their simple rural life, they were surrounded by the cycles of nature: the seasons, lunar months, tides, dawn and dusk. Even in ordinary tasks -- gardening, metalworking, sheep herding, and farm chores -- they felt God's sacred presence all around in the natural world.